We've added the latest installment of our Yearbook series - 1978 which was Season #5. 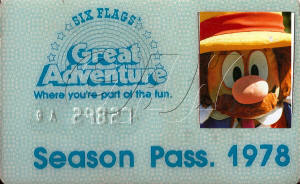 Be sure to check out the Spotlight to see all the changes Six Flags made for their first season as owners. I am not sure what changes were made to the backstage/employee policies but check out the Letter to the Editor in the "Part of the Cast" page to read about the boycott on soft drinks! I was happy to see in the newsletter that Show Op's softball was doing good. I forgot all about this, thanks for making this apart of your spotlight! A very unique ad has been added to the 1978 Print Advertising page. 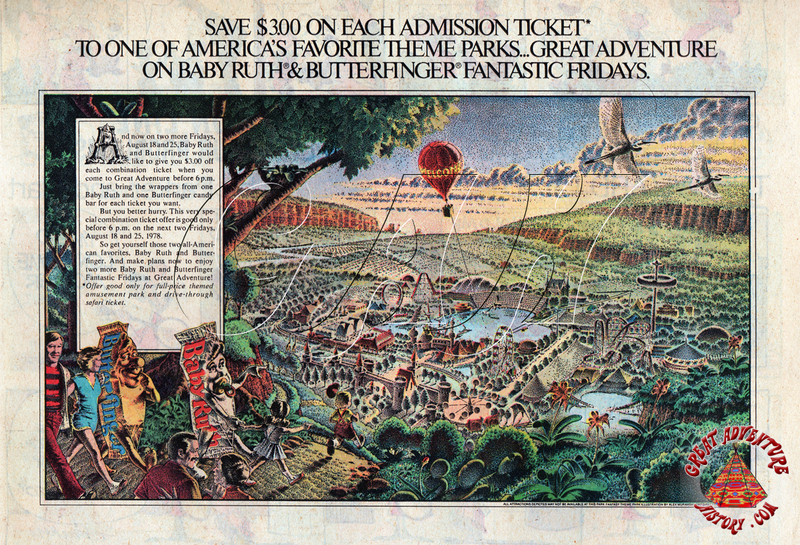 Very nice print advertisement and rather interesting that the balloon was portrayed in the artists conception, but not even close to being an aerial representation of Great Adventure at the time. 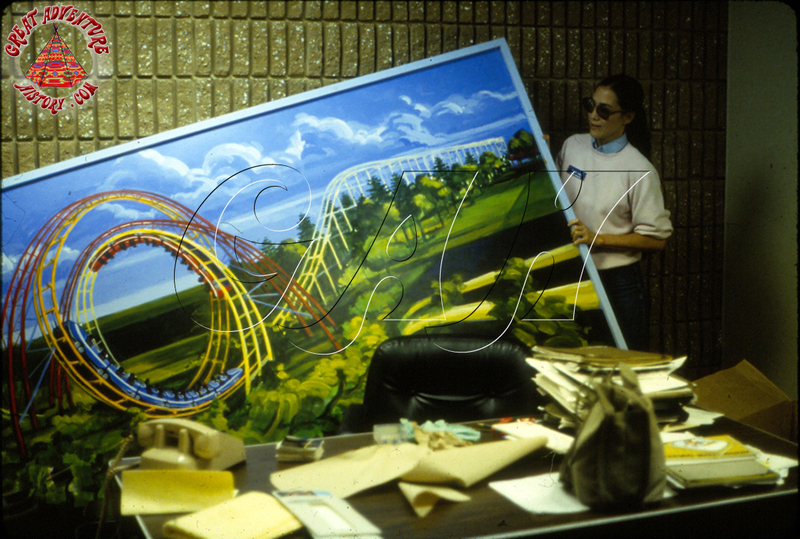 Any thoughts on which Six Flags park (if any) this might have been representative of at the time. 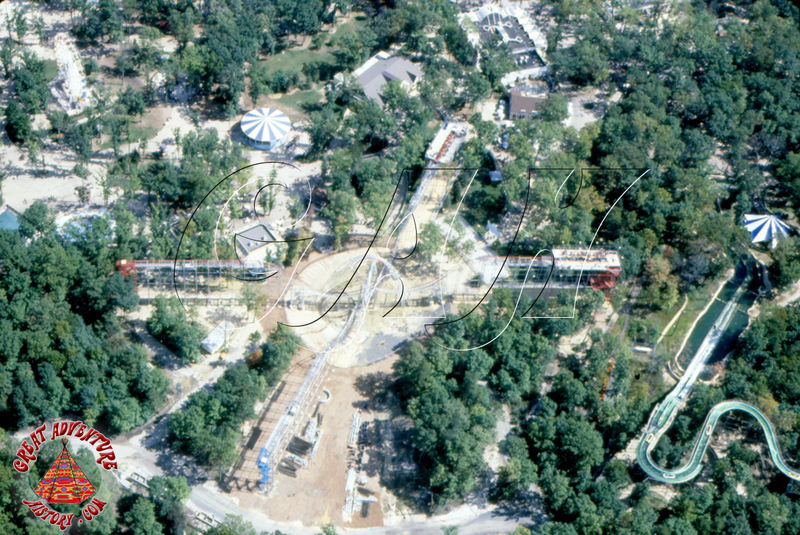 For me, if any of their parks, it might be AstroWorld. I think it was just a whimsical fantasy park to fit in with the colorful Sunday comic section of the newspaper to appeal to kids. 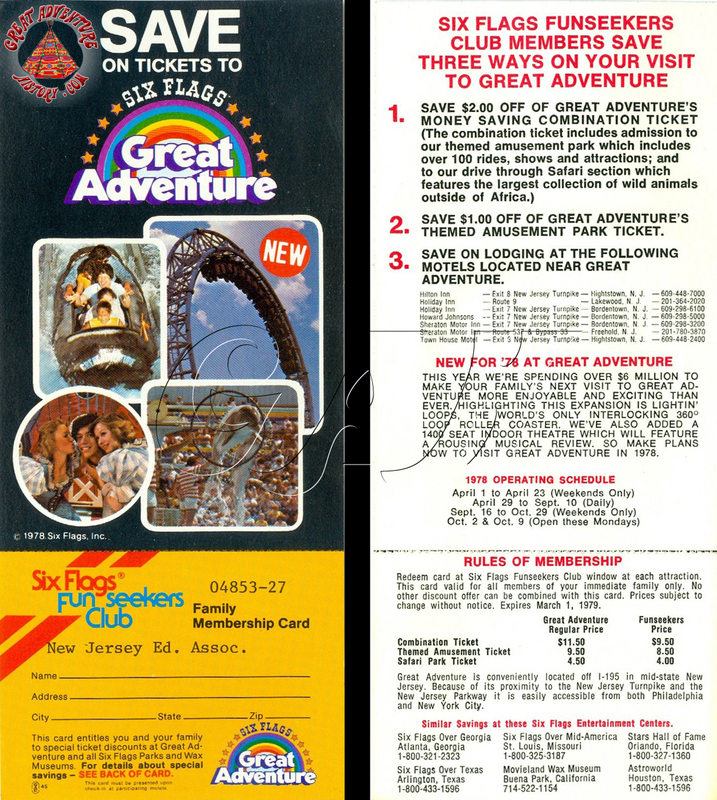 It sort of looks like Dutch Wonderland in Lancaster, PA.
Added to the Yearbook, an intact 1978 complimentary combination ticket (front and back). Do you guys have a park map for this season? I have been loving the threads and pictures out here! Nevermind I am a total noob .. I found it. I have been just viewing the map off the thread and not clicking the actual highlight. ^Welcome to GAH! Hope you enjoy hunting around the site! 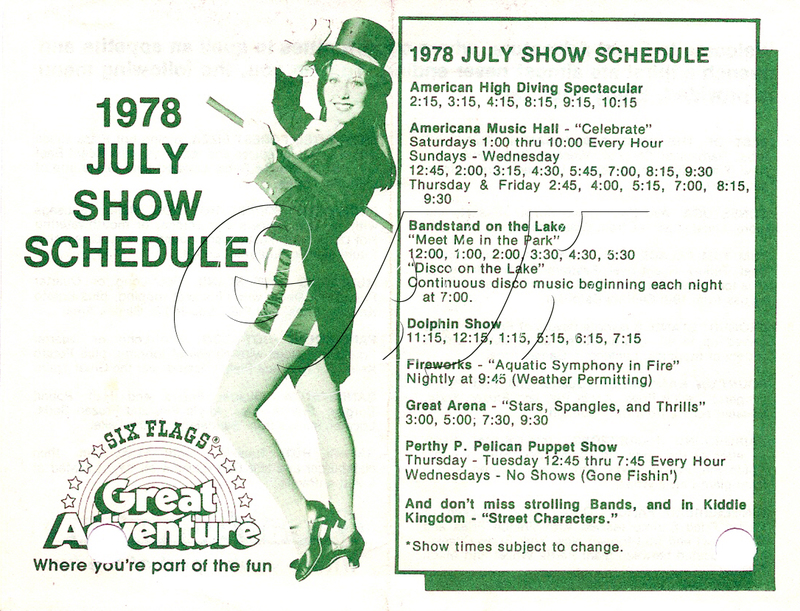 Just added to the 1978 Management page is this flyer featuring a memo from Larry Cochran. It's kinda cute that they used the "Wheeler" character at the top of the note. I guess that was suppose to be Larry! 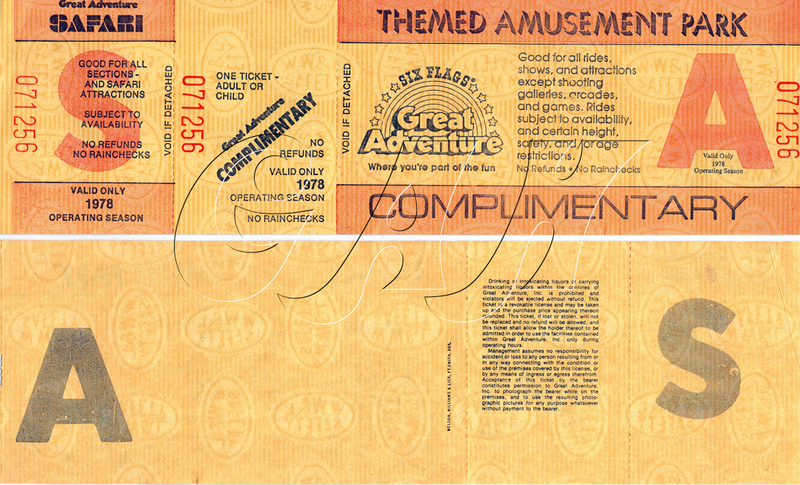 Yeah, I found humor in this character twice over..
FIRST- Larry Cochran was a Tall Thin Gentleman who lost most of his hair earlier than his arrival at Great Adventure. SECOND- If that Cartoon Character isn't a copywrite infringement on "YOSEMITE SAM" from Warner Bro. Looney Tunes I would be very surprised. add- Nice to see my OBIT. in the News paper...hehehe my farewell address was included in that copy. This photo was found in a "new" 1978 Host & Hostess Manual I recently received. Does anyone which ride's control panel is pictured below? I don't know the answer but I was thinking probably something that included hydraulics given the meter at the top of the panel. Maybe the Swiss Bob? 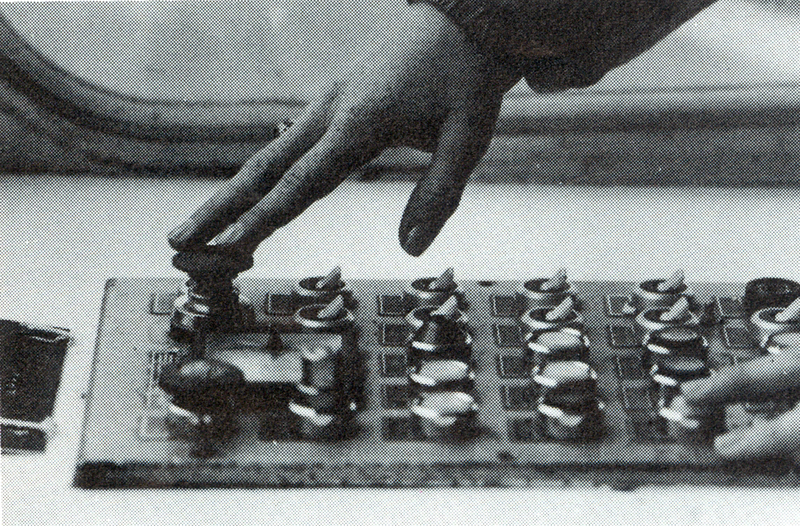 It sure had a lot of buttons. That looks like a prefab booth window. I'd guess it was one of the portables like the Troika.